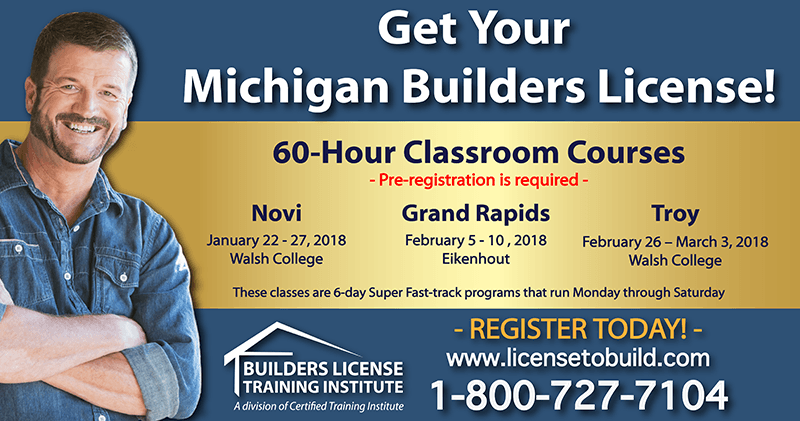 How do I get a Michigan builders license? Builders License Training Institute offers an approved 60-hour course online and in classroom. This entry was posted in All Industries and tagged Michigan Builder Prelicense.